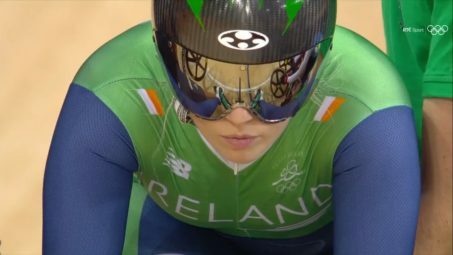 On the back of a very successful World Championship campaign for the Irish Track Cyclists, where Lydia Boylan won a silver medal in the Points Race and Mark Downey won bronze in the Points Race, we look at the sport of cycling, and where it fits on the Olympic Programme. Cycling has been on the Olympic programme since the birth of the modern Olympic movement, and the 1896 Summer Olympic Games included a road race and five track events, all for male athletes only. The first time that women’s cycling featured on the Olympic programme was in 1984 with the road race, and in 1988 they were included in the track cycling programme. The cycling disciplines included on the 2020 programme are road cycling, mountain biking, track cycling and BMX. Up until Rio 2016 the programme centred around speed and being fast, so the inclusion on the 2020 programme of freestyle BMX places an additional focus on skill. 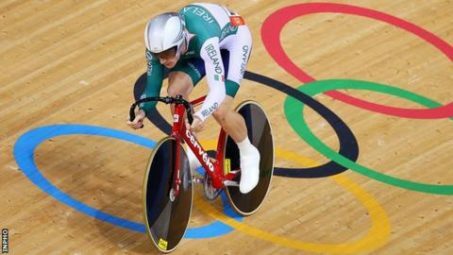 Ireland has a rich history of competing in cycling events in the Olympics, with the highest results being in the men’s road race – where Ciaran Power was 13th in Athens 2004, and Dan Martin was also 13th in Rio 2016. The Irish cycling High Performance programme places a significant focus on track cycling, Team Ireland use Palma, Mallorca as a training base, since Ireland does not yet have an indoor Velodrome. Named after Madison Square Garden in New York, the Madison is essentially a team points race where two riders compete over 50 km for men, and 30km for women. After a mass start, only one rider can race at any one time, and for the riders to change over they must make contact with each other. This is done by performing a hand-sling in which one rider propels his/her teammate. Points are usually awarded every 20 laps, and if a team laps they field they are awarded an additional 20 points. The team with the most points win. 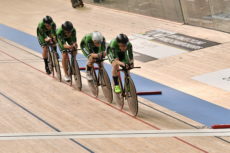 The Madison was an Olympic event for men in 2000, 2004 and 2008, but was dropped ahead of the 2012 Olympics, partly for reasons of equality, as there was no equivalent race for women at the team. However, for the 2020 Olympics there will be both a men’s and women’s event on the programme. 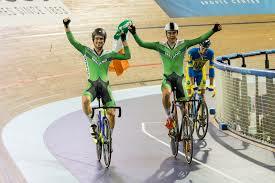 Ireland are targeting this event, in 2017 the male pairing of Mark Downey and Felix English were dominant in the World Cup season, and the female pairing of Lydia Boylan and Lydia Gurley won silver at the European Championships. 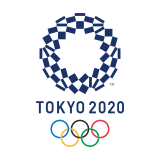 This year’s men’s squad included OFI Tokyo Scholarship athlete Downey, English and Marc Potts, and the women’s squad included Boylan, Gurley and Shannon McCurley. The Omnium is a multiple discipline event, like the decathlon in Athletics. For the 2020 Olympics it consists of a scratch race, elimination race, points race, and tempo race. The four races take place on one day, and points are awarded to riders at the end of each event. The rider with most points after the last event is deemed the winner. 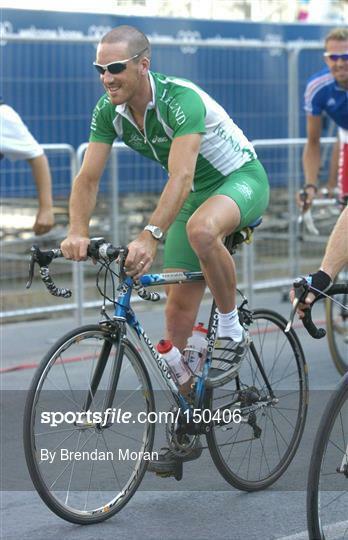 Martyn Irvine has been Ireland’s leading competitor in the event and competed in the 2012 Olympics as part of Team Ireland. 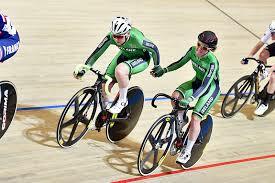 Felix English is leading Ireland’s charge in the men’s event currently and Shannon McCurley in the female’s event. 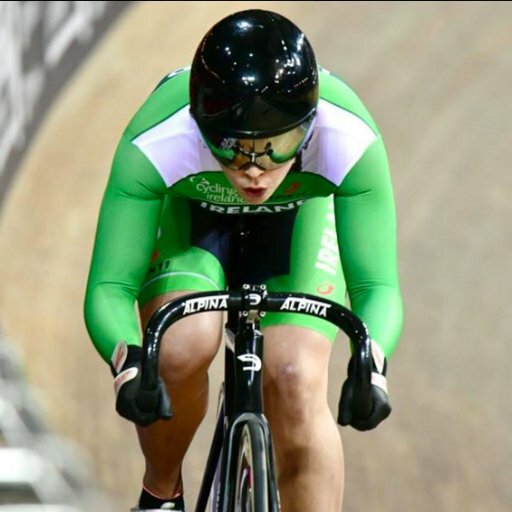 McCurley was the first female Irish athlete to compete in track cycling at the Olympics – having contested the Keirin in Rio 2016. She is switching her focus from sprint to endurance for Tokyo! Often as much about strategy as speed, the traditional sprint in cycling involves the two riders starting side by side, and is usually a head to head race contested over a short number of laps. The first few laps of the race are generally very tactical and for this reason is sometimes described as a game of cat and mouse. The last lap is generally when the racing truly begins, with both riders sprinting flat out to cross the line first. Robyn Stewart has been competing for Ireland in this discipline with her sights set on Tokyo. Stewart is a relative latecomer to the sport, getting inspired to cycle having watched her husband coach cyclists in the Commonwealth Games in Glasgow 2014. Four years later she donned the Northern Ireland jersey at the same Games in the Gold Coast. The Team Pursuit is a race against the clock, where a team of four riders compete over a distance of 4km. Riders in a team follow each other closely in line, rotating the leader to maximise efficiency. The time is recorded by the third rider over the line. 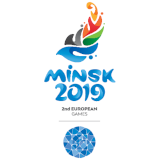 In major competitions the fastest eight teams progress to the next round, with a further qualification to the medal rounds. 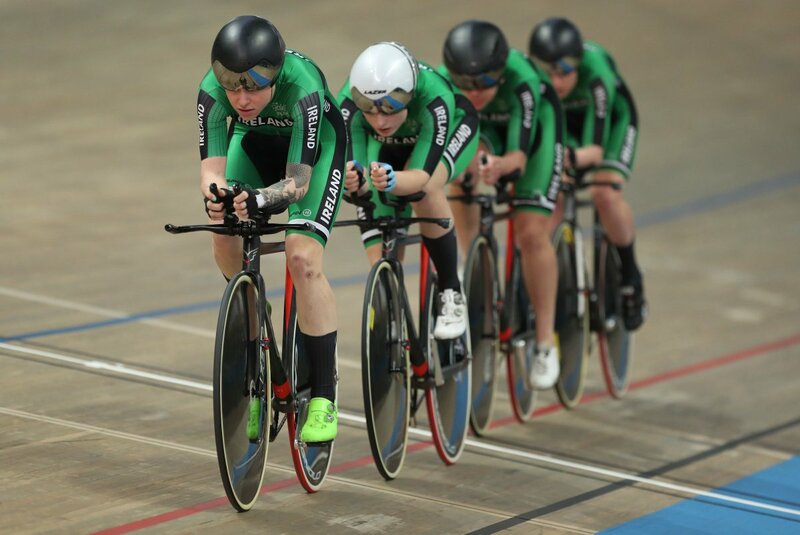 Ireland has a women’s team competing in this event, with a long term focus on Paris 2024. WHAT ARE THE KEY QUALIFICATION DATES? Qualification is ongoing across all the cycling disciplines, with the final qualification spots being decided next year based on nations ranking. HOW DO YOU GET INVOLVED IN CYCLING? Head over to www.cyclingireland.ie to find out how you can get involved in cycling. There are in excess of 400 clubs around the country to join, with the majority of them focusing on road cycling.